As Kiev “returns” to the Commonwealth of Independent States (CIS), President Dmitry Medvedev has repealed restrictions on Russian visits of certain Ukrainian politicians and public figures. The presidents of Russia, Azerbaijan, Armenia, Belarus, Kazakhstan and Ukraine gathered for a round table meeting at Livadia Palace in Yalta on July 10 for an informal summit of the CIS countries. 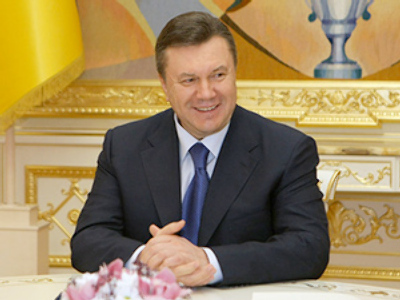 They also took the opportunity to congratulate Ukrainian leader Viktor Yanukovich on his 60th birthday. The palace is well-known as a place where, in 1945, Soviet leader Josef Stalin, British Prime Minister Winston Churchill and US President Franklin D. Roosevelt held the Yalta Conference to discuss the results of the Second World War. This time “the Yalta conference” was devoted to trade liberalization, the development of transport and tourism and sports competitions such as the Soccer Euro 2012 Championship in Ukraine, the 2014 Olympic Games in Russia and the ice hockey championship in Belarus in 2014. 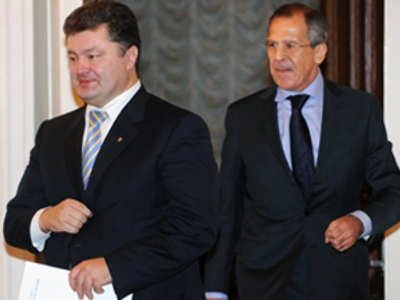 Viktor Yanukovich was “the hero” of the meeting, Kommersant daily said. “And not only because he was the initiator and host of the summit, and the meeting was timed to the celebration of his birthday,” the paper noted. “The summit was intended to demonstrate that the arrival of Yanukovich in Ukraine and the change of the country’s foreign course will invigorate the CIS,” it added. The leaders touched the issue of economic integration, but the preparations of the agreement on creating the free trade zone was not discussed at the informal summit, the paper said. The presidents also supported an initiative to hold an international conference in 2011 on coping with the consequences of the Chernobyl disaster and improving the ecological situation in the region. 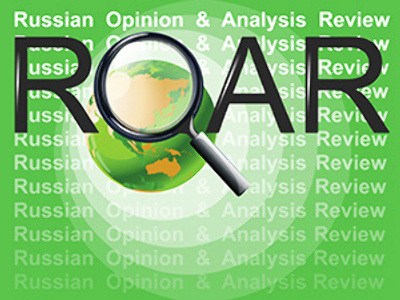 Ukraine’s “return” to the CIS was the main result of the summit, the daily said. Former President Viktor Yushchenko demonstrated that the participation in the Commonwealth’s events “was not his priority,” the paper noted. Yanukovich, however, immediately made it clear that he was ready for a more active role in the organization, the daily said. Ukraine wants to become not only one of the CIS countries, but also “intends to take a place together with Russia just ahead of others,” the paper said, citing analysts. At the same time, stepping up its efforts within the CIS, Ukraine is not going to break off contacts with other countries of the post-Soviet space, which are not involved in CIS activities. “The day before the summit in Yalta, Georgian President Mikhail Saakashvili visited Ukraine,” the paper said. “Although the presidential administration in Kiev says the visit was a surprise for them, the first meeting between the Georgian and Ukrainian leaders, since Yanukovich became president, has taken place.” Saakashvili was able to congratulate his Ukrainian counterpart “before other CIS leaders could do it,” the paper noted. Meanwhile, Moscow and Kiev are continuing to improve bilateral relations soured under the previous Ukrainian leadership. The Russian president has repealed restrictions on Russian visits of certain Ukrainian citizens, the Foreign Ministry said. The Ukrainian side used the lists more often, the paper said. At different times, journalists Mikhail Leontyev and Arkady Mamontov, State Duma deputy Konstantin Zatulin, Moscow Mayor Yury Luzhkov and Russian political scientists and public figures were denied the entry to Ukraine. Among Ukrainians who had Russia’s doors closed before them was Petr Poroshenko, a politician, businessman and one of the sponsors of “the Orange Revolution,” the paper said. However, when Poroshenko became the foreign minister at the end of last year, he initiated the process of removing the scandalous practice of filing black lists together with his Russian counterpart Sergey Lavrov, the daily noted. “When Viktor Yanukovich was the prime minister in 2006-2007, there were no problems with trips of Russians to Ukraine,” the paper said. The black lists became history when Yanukovich became the president, and those who could not enter the country now are able to visit Ukraine without restrictions. Former Russian ambassador Viktor Chernomyrdin described in 2008 the creation of “the black list” of Ukrainian politicians and public figures as an adequate measure after Ukraine had closed doors for the Moscow Mayor and several Russian deputies. Luzhkov already visited Kiev on July 9 to congratulate Yanukovich with his birthday, Vesti.ru said. It was the first mayor’s trip to Ukraine since 2008, the website said. In May that year, Luzhkov said in Sevastopol that the city should be returned to Russia. Journalist for Rossiya TV channel Arkady Mamontov is another person who is able to enter Ukraine, media say. One of the members of his TV crew was not allowed into Ukraine in autumn of 2009. Officials in Kiev criticized Mamontov’s report about the alleged participation of Ukrainian servicemen in the 2008 conflict in the North Caucasus, Lenta.ru said. However, there were no official statements regarding Mamontov at the time. A source in the Ukrainian Foreign Ministry told RIA Novosti news agency that Mamontov is now allowed into Ukraine, as well as other Russian journalists.